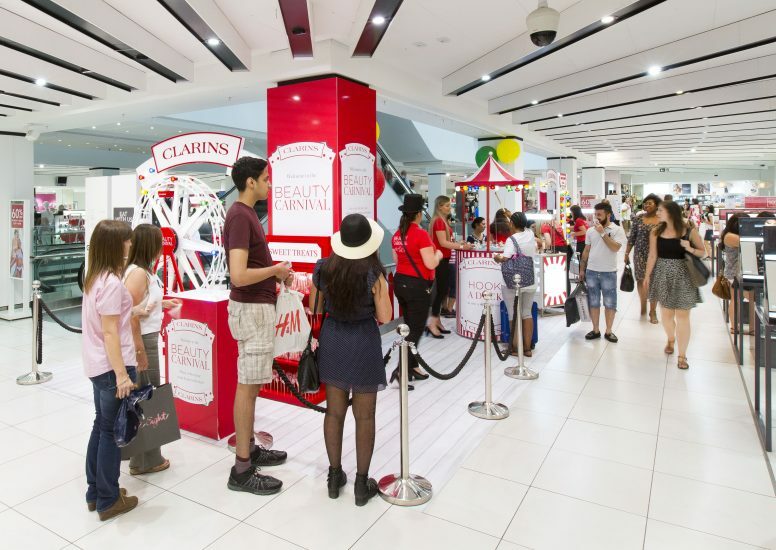 D4R have worked with Clarins to design and implement their Beauty Carnival event exclusively in Debenhams Oxford Street. 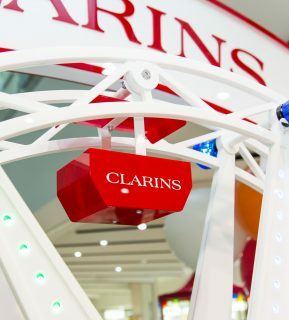 This vibrant brand activation space lets customers enjoy a free makeover, discover beauty tricks and tips in magical master classes and even get to take away a free Clarins treat at the end of their journey. 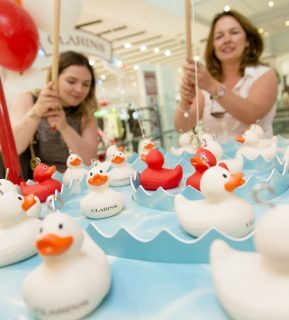 The event is jam packed with fun activities to engage the customer with and creates a great atmosphere in store. 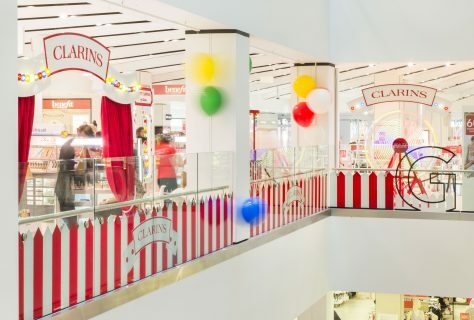 It’s a throwback to the days of the fun fair and you can have a go on the Hook a Duck, take a selfie in the illuminated frame and take away popcorn and lollipops. 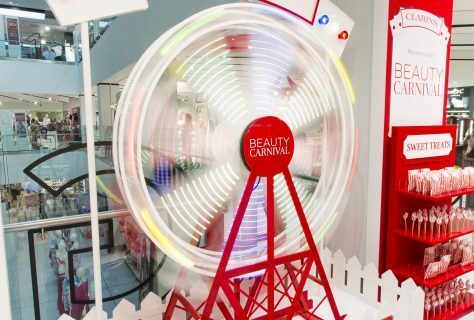 There is even a fully animated Ferris wheel which creates a great crowd stopper at the front of the site and definitely captures attention. 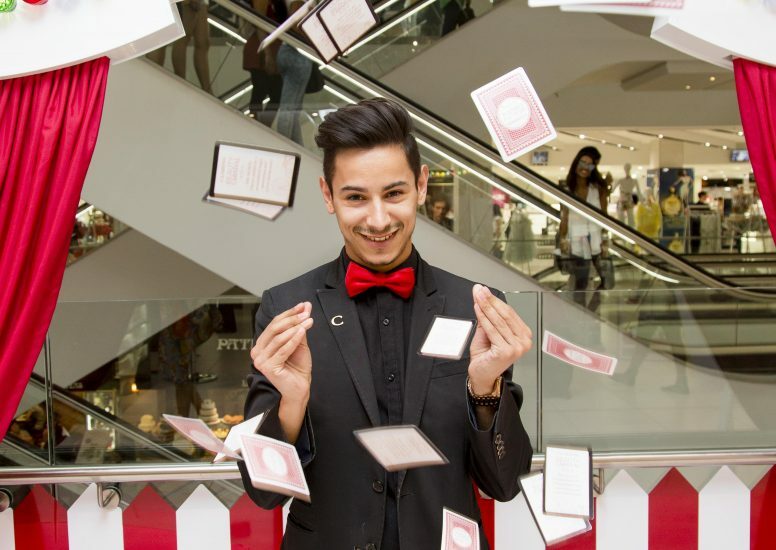 If you are in the west end it is definitely worth a visit, but hurry, the event is only on till 30th July so don't miss out!